Apple on Tuesday released iOS 8.1 beta 2 to developers, moving one step closer to a consumer release. While iOS 8.1 beta 1 has seemed fairly stable for us in the office, beta 2 promises to fix some remaining bugs, while improving the software overall. Earlier rumors claim the final version will be released to consumers in a little less than two weeks from now, so this could be the last beta before it's ready for primetime. When the software hits, we're expecting Apple Pay to be activated, along with a more stable experience overall. Apple is reportedly hard at work on iOS 8.2 and iOS 8.3, which means the imminent introduction of iOS 8.1 is just the tip of the iceberg. Given Apple's most recent update fiasco, I'd definitely proceed with caution if you plan on installing the new beta software. But for you more intrepid souls out there, you can download the software over-the-air right now if you have a developer account. Below is the full changelog provided by Apple. Introduction iOS SDK 8.1 provides support for developing iOS apps. It is packaged with a complete set of Xcode tools, compilers, and frameworks for creating apps for iOS and OS X. These tools include the Xcode IDE and the Instruments analysis tool, among many others. For issues not mentioned in the Notes and Known Issues section, please file bugs through the Apple Developer website (https://developer.apple.com/bug-reporting/ios/). Additionally, you may discuss these issues and iOS SDK 8.1 in the Apple Developer Forums:http://devforums.apple.com. To get more information about iCloud for Developers, go to http://developer.apple.com/icloud. Notes and Known Issues The following issues relate to using iOS SDK 8.1 to develop code. Known Issue Use of the new constant, AVCaptureISOCurrent, will result in inconsistent ISO values (as observed on the ISO property) if setExposureModeCustomWithDuration:ISO:completionHandler: is called repeatedly. Note A single CKAsset instance can no longer be set as a value on multiple CKRecords. Note The Address Book UI people picker has been changed for iOS 8. A new mode with new API has been added where the app does not need access to the user's contacts and the user will not be prompted for access. A temporary copy of the selected person is returned to the app. See ABPeoplePickerNavigationController.h for more details. The com.apple.developer.icloud-container-identifiers entitlement will be required when iOS 8.1 is released. Extensions need an arm64 slice to run on 64-bit devices. If you try to run the armv7 slice on a 64-bit device it won't work. Note The file system layout of app containers has changed on disk. Rather than relying on hard-coded directory structure, use the NSSearchPathForDirectoriesInDomains function or the URLForDirectory:inDomain:appropriateForURL:create:error: method of the NSFileManager class. See Accessing Files and Directories in File System Programming Guide. CTLineGetBoundsWithOptions(lineRef, kCTLineBoundsIncludeLanguageExtents); To avoid overlapping glyphs in multiline text elements, adjust the line height. An additional 30% is recommended. Note Mail handoff and AirDrop may stop working after changing your iCloud password at appleid.apple.com. Fixed in iOS 8.1 Beta 2 After restoring from iCloud backup you may be unable to sync new music or movie content from iTunes. Note URLForUbiquityContainerIdentifier: might return nil when running your application in Xcode. If so, open System Preferences, navigate to iCloud > iCloud Drive, and enable Xcode. Additional Keyboards, including 3rd party keyboards, may not appear in Safari, Maps, or 3rd party apps on the Simulator. 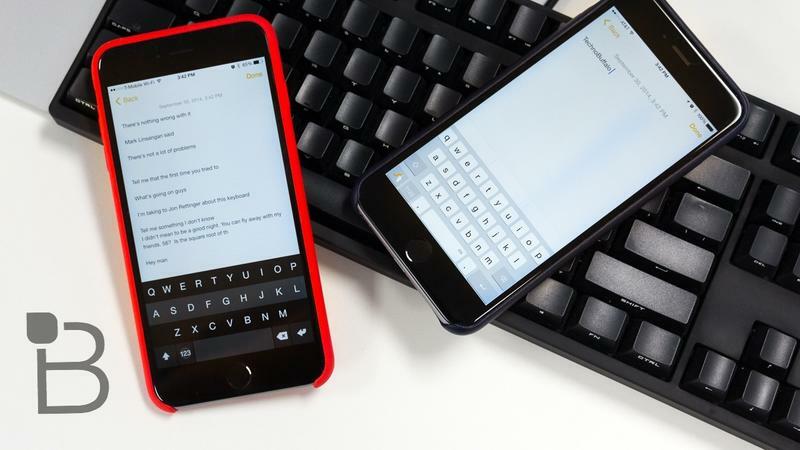 Workaround: Keyboards should be testable in Calendar, Spotlight, Contacts, and Photos. Note The schedule and intended use of widgetPerformUpdateWithCompletionHandler: is intended as a convenient home for all data/model update logic. If implemented, the system will call at opportune times for the widget to update its state, both when Notification Center is visible, as well as in the background. An implementation is required to enable background updates. It's expected that the widget will perform the work to update asynchronously and off the main thread as much as possible. Widgets should call the argument block when the work is complete, passing the appropriate NCUpdateResult. Widgets should NOT block returning from viewWillAppear: on the results of this operation. Instead, widgets should load cached state in viewWillAppear: in order to match the state of the view from the last viewWillDisappear:, then transition smoothly to the new data when it arrives. Note The NSURLSessionTask class provides a new "priority" property with three associated constants: NSURLSessionTaskPriorityDefault, NSURLSessionTaskPriorityLow, and NSURLSessionTaskPriorityHigh. NSURLSessionTask priorities can be used to specify how multiple requests and responses to the same host should be prioritized. Note that the priority is a hint and not a strict guarantee of NSURLSessionTask performance. If the carrier does not have the user's registered emergency address, you will be asked to add it before the feature is activated. If iCloud Photo Library beta is enabled, Settings > iCloud > Photos may crash. Workaround: Use Settings > Photos & Camera to manage settings for Photos. Known Issue If you have upgraded to the 8.1 Beta from iOS 8 betas you may see your apps crashing due to provisioning profile issues. Right-click on the device in left column, choose "Show Provisioning Profiles"
Continue doing so to remove all affected profiles. Note The carrier name in the status bar will show "T-Mobile Wi-Fi" when the device is able to make and receive Wi-Fi calls.